Albondigas Spanish meatballs are where it’s at. Albondigas are a traditional tapas snack. The Albondigas meatball is ground or minced meat rolled into a small ball, along with other ingredients, such as bread crumbs, minced onion, eggs, butter and seasoning. 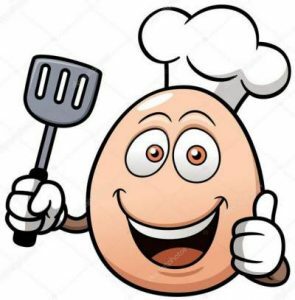 Meatballs are cooked by frying, baking, steaming, or braising in sauce. Unlike Mexican albóndigas in soup, these Spanish meatballs in sauce are not spicy, but they are tasty. Everybody’s grandmother has the best recipe for this, of course, but this is my recipe and I’m sure you’ll like. 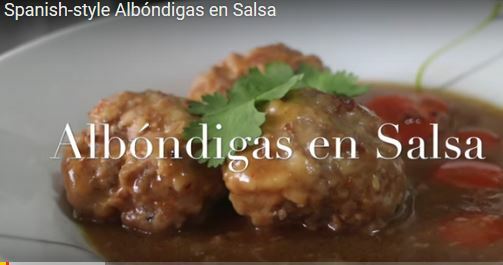 These albóndigas are pretty easy to make. How to Make Spanish Meat Balls – Albondigas. This episode illustrates how to make a family recipe passed down from generations. We omit one ingredient, but the end product we create still tastes mighty delicious. Robin from Cooking and Capturing shows us how to make her version of Spanish Meat Balls, also known as Albondigas! We hope you enjoy and please subscribe to our blog if you find our videos entertaining and informative!!! King’s Cooking: Spanish Meatballs in Spicy Tomato Sauce. Another delicious tapas dish, albondigas con salsa picante from Spain. This time it comes with a spicy tomato based sauce. This can be eaten as it is or served with any pasta and it will taste good anyhow. Some people claim that it is easier to cook with electricity, like a ceramic hob, and that it is cheaper. I solely cook with gas since I have no other choice. Also most Chinese dishes are only cooked with fire instead of electricity. The site Spain info covers local towns with local accommodation. Spain info also covers info local days out in Spain on the Mediterranean. Spain info with information on gardening in Spain Mediterranean style. 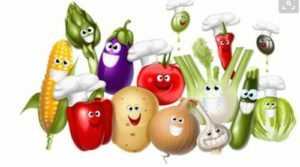 Spain info with information on cooking Mediterranean style. Also Spain info also lists the Local Hot Water Spas many of them dating back to Roman times. Spain Info Albondigas, San Francisco De Asis, Urb Marina, San Fulgencio, 03177, Alicante, Spain.